If you've wondered why devs still ask you for the “OS, browser vendor, and browser version” after all these years, when browser features seem so converged: it's cases like this! Was troubleshooting some fancy-schmancy Forms 2.0 JS using Cross-Browser Testing. I never reproduced the specific misbehavior that had been reported (turned out to be due to the usual form-post-to-database delay), but I did accidentally discover something else while testing across browser versions (CBT is great at providing a wide range of older releases on their boxes). Marketing Automation: Does It Rock Or Should It Roll? According to an infographic created by Impact Brand and Design, marketing automation started in 1992 with a tool called Unica. For more than roughly 25 years marketing automation has been growing and evolving. So it raises the question if marketing automation is right for you and your company. Here are some pros and cons of marketing automation as well as what marketing automation is and is not. In simple terms a marketing automation tool allows a marketer a way to create a holistic marketing campaign all in one place. A marketing automation tool is not just an email tool. So many time people think of marketing automation as a tool that can just schedule emails. While this is true it is so much more than that. It is like saying an iPhone is only used to make phone calls. I truly think once people start looking at marketing automation tools as more of an all-in-one marketing tool and not just an email service provider (ESP) we will really see the tool take off and do amazing things. Automation - Marketing automation gives a company/marketer the ability to work more efficiently. Most marketing automation tools have the ability to automate a path a lead takes, lead scoring, and create data driven (personalization) pieces of content. Back in 2015 Paychex Sr. Marketing Manager Chris Muller and Paychex Marketing Communications Manager Matt Sitler called a nurture campaign using marketing automation a "choose your own adventure" campaign. This was a perfect way to describe it. What they meant by this was marketing creates all the assets for a nurture campaign and through automation the lead's actions will tell the tool which content to give to them. Reactive content. It's a choose your own adventure marketing campaign. All-In-One - A marketing automation tool (MAT) allows a marketer/company to have everything in one spot. A MAT can handle all aspects of emails, host landing pages, host microsites, host images and documents, be a database, help with SEO, and can host a range of analytics just to name a few features. At one point in time all these things needed to be done in separate tools which may have caused one or multiple people to learn multiple tools. With marketing automation it is all in one spot saving time and money. Analytics - According to an article written by Daniel Newman for Forbes, 8 of the 10 things to watch out for in 2017 that will drive marketing are driven by analytics. MATs are still young and with the power it already has to track it is a great sign for the future. Most MATs have the ability to track a lead from the second they hit your website till the second they buy your product. Being able to track the lead from prospect to client and looking for patterns in that data is very powerful, especially when it is all in one place. MATs can track website visits, email opens, clicks and form fill outs just to name a few. With a little development and creativity MATs also have the ability to track even more, including SEO, SEM and GA data points. Ease Of Use - I have been using MATs and email service providers (ESP) for over 7 years. I have used some tools that are amazing and some that have a lot of room to grow (trying to be nice here). Most of the tools are very easy to use and learn. I have trained college interns, web developers, content creators, and people who are experienced marketing professions who have never used MATs on how to use them and they have all picked it up quickly and used it successfully. Learning how to use the tool is not what makes a MAT great or bad but learning how to use it to best suite the need of your client/business is what makes the tool great. Anyone can learn how to use a MAT but the people using it are what really makes the tool great. It's Not Magic - A marketing automation tool is just that, a tool. Just like a hammer or ***** driver it is there to help get the job done successfully. If the tool is being used incorrectly then it might not be the right tool for your company/client. Marketing automation tools can not automatically take your campaigns from a dumpster fire to a 5 star resort. Just like with any other tool a MAT helps take what you currently have and use that to try and market to sell your product or service. Don't think just because your company goes out and spends money on a MAT that your marketing will go from zero to hero. Price - Everything costs money and MATs are no different. There are some really expensive MATs in the industry. But there are also some very affordable ones. The important thing to remember with price is get what you can afford but more importantly get what fits your need(s). It's Still Young - Even after 25 years marketing automation is still evolving. To think you can purchase a tool and it won't change is ludicrous. The point is to be patient and pick the tool that best fits the needs of what you want to accomplish. Some tools will offer services that you might not need and those could cost extra. Marketo does a great job at always looking to evolve. They have what is called The Marketo Community where customers and customer service and interact. It gives the customer the ability to suggest improvements and Marketo has added things to the tool based on what customers want. The community also allows customers to suggest solutions to issues other customers are having. 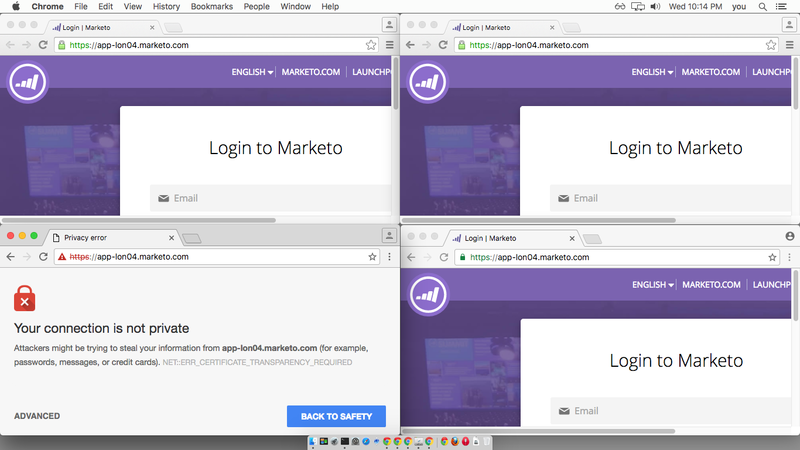 Other MATs have this as well but I am just a fan of Marketo's community. Should It Rock Or Should It Roll? Rock! Marketing automation tools are doing great things and making things easier for marketers. The trick is to find the tool that works for you and use it to the fullest. Note: I want to point out the products and references I used in this article along with all my articles are used because I want to. I am not getting paid to use any content or talk about any product or service. According to YouTube's website they have over 1 billion users worldwide. That accounts for almost 1/3 of all people on the internet. Over 1 billion people picking what videos and content they want to consume. The top YouTube channel has over 50 million subscribers. I don't want to make this article about YouTube. I want to look into why so many people are watching YouTube, what makes so many people consume content from a particular YouTube channel and what it means for lead nurturing. Why are so many people watching more YouTube? This answer is pretty simple. People know what to expect and it is easy to consume. They know if they go to YouTube they will see a video. People are in a hurry today more than ever, so it is much easier to watch a video than to read an article. Videos are processed by the brain 60,000 times faster than text. What makes so many people consume content from a particular YouTube channel? Below is a clip from 2016 YouTuber of the year, Casey Neistat. He is talking about camera equipment and explains that the $5,000 camera is sometimes not as good as the camera on your cell phone. Why? Because whatever piece of equipment helps tell the story the best is the best one to use. The story is king. This goes to content too. What does all this mean for lead nurturing? When lead nurturing every marketer wants to imagine a funnel. A lead comes in at the top and go down step by step to the bottom where they are sold. In some circles this happens. Leads follow a pattern of content they are given which leads them to being sold. But for most marketers it is not that easy. In 2014 I attended the Marketo Summit in San Francisco (If you are a Marketo user I highly recommend it) and sat in a session about lead nurturing. The presenter (I forget his name if I find it I'll update this) showed a nice neat funnel on the screen and said "This is the perfect funnel." He then changed the slide to display what could best be described as how a 2 year old would draw of a funnel and he said "Here is the real funnel." It was a picture of a funnel and instead of the line going straight down it goes in all directions and in no order. That stuck with me because of how true it was and still is. In today's lead nurturing world prospects need content whenever and however they want to consume it and marketers need to tell a story. The "on demand" content is what will attract the prospects and provide authenticity to the company. Good content will prove that the company has knowledge about what service/product they are selling. The story will keep the customer coming back. Telling a story with your content will create a relationship with the customer making them feel closer and more comfortable with the company and what they are selling. I was recently listening to a podcast called Freakonomics Radio (highly recommended). The episode I was listening to talked about how to become great at anything. The host Stephen Dubner referenced the Malcolm Gladwell's Rule that it takes 10,000 hours to become great at something. Stephen and his guests talked about Gladwell's Rule and talent and the relation between the two. After listening to the episode a few times 2 things always came to the forefront for me. I realized that in order to be successful or great you need these two things. Gladwell's 10,000 hour rule says it takes 10,000 hours of focus and practice in order to become great at something. To put this into perspective it would take about 4.8 years if someone worked 40 hours a week to become great at something. This assumes that for every second someone is working those 40 hours a week they are working at one specific topic or area. A bit unrealistic to think that every second someone is at work for almost 5 years they are heads down working but it gets the point across. It takes a long time. I partially agree with Gladwell's rule. I don't think a specific number can be put on how much time it takes to be great at something. I do however agree with the premise behind the rule. It takes hours and hours of practice to possibly be great at something. Nothing is guaranteed but without practice it'll be near impossible to achieve. The actor Will Smith did an interview on his personal keys to success. In a part of the interview he said "If I get on a treadmill with someone then one of two things is going to happen. The other person is getting off first or I'm gonna die." What Smith is doing is expressing that he will not be outworked. What you might not see is Smith puts himself in a place where people will push him. People that are better than him will force him to push himself and become great. The environment in which someone puts themselves will do 2 things: It will make the person quit or it will push them to be successful. It is always important to remember that the people who are around you pushing you to take that next step are just as important as the practice you put in. Note: I am aware of the Princeton study that was done that claims to disprove Gladwell's rule. I just wanted to explore the 10,000 hour rule in this article and the underlying meaning behind it.